Reported by Braden Keith. Captured by Robert Gibbs. 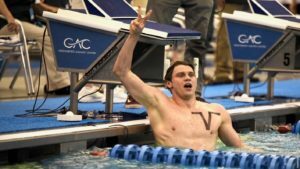 Only 6 swimmers swam time trials on day 1 of the ACC Men’s Swimming & Diving Championships in Greensboro, but in spite of a small group, they produced some big times. 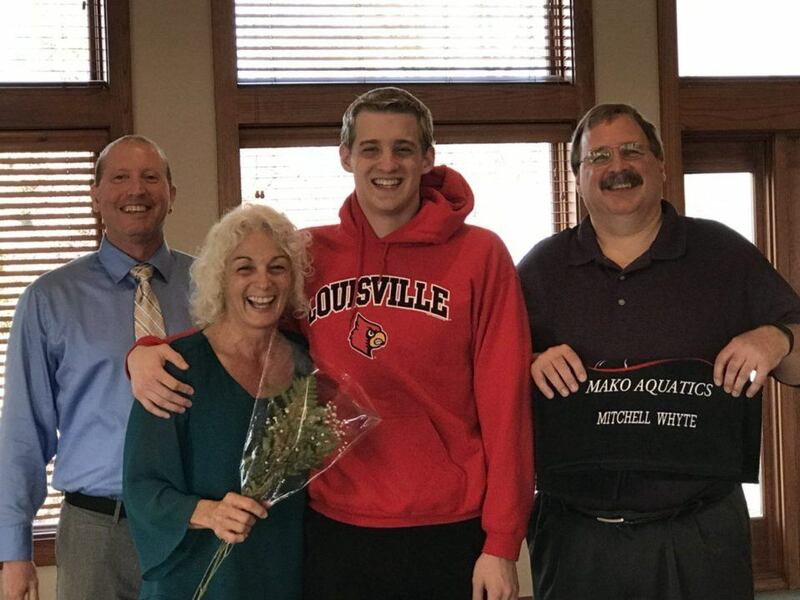 That’s especially true for Louisville freshman Mitchell Whyte, who swam a 45.34 in the 100 backstroke that is a surefire qualifying time for the NCAA Championship meet in March. 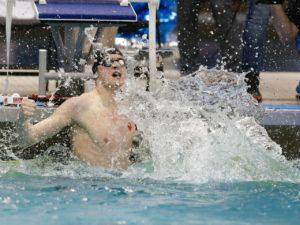 Whyte’s previous best time, done in high school, was a 47.76 – he cut nearly 2-and-a-half seconds off that time in his time trial swim. 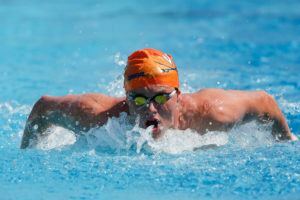 His new time ranks him 6th in the country so far this season, and 2nd in the ACC behind only the defending national champion Coleman Stewart of NC State (45.04). 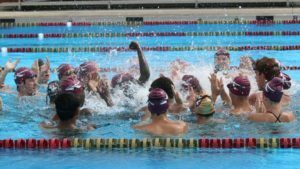 Whyte was originally committed to Eastern Michigan before that school cut their men’s swimming team. That led him to Louisville.